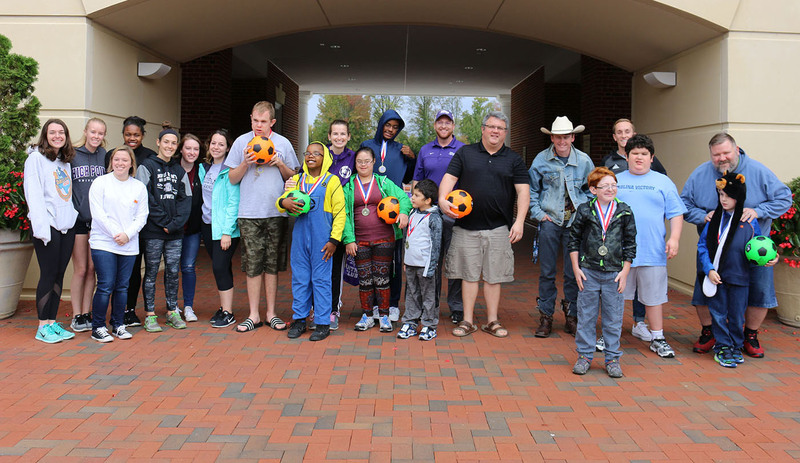 For the third year, HPU students and faculty hosted the TOPSoccer program, a community-based soccer program that is designed to meet the needs of children with physical and/or intellectual disabilities. 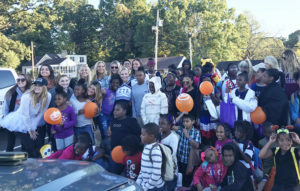 HIGH POINT, N.C., Nov. 6, 2017 – Throughout the month of October, High Point University students, faculty and staff hosted programs to benefit the local community and beyond. These efforts are part of the 100,000 hours of service and thousands of dollars that the HPU family contributes each year to local causes. On Oct. 26, the sisters of Zeta Tau Alpha Sorority hosted their annual Trunk-or-Treat event, inviting PNAC, a local after-school organization, to campus. Sorority members decorated the trunks of their cars and provided candy for the children of PNAC. Children dressed up and spent the evening going from trunk to trunk and interacting with members of ZTA. 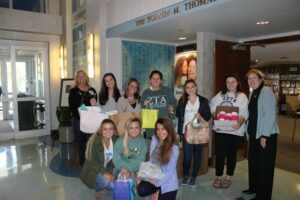 Also in October, ZTA members assembled Chemo Care Packages for patients at High Point Regional Cancer Center. The group collected items for those who are currently receiving chemotherapy treatment for various forms of cancer. The items included mints, tissues, lip balm, body lotion, scarves, magazines and adult coloring books and colored pencils. ZTA sisters collected these items throughout the month of October, which is Breast Cancer Education and Awareness month, and donated them at the end of the month when they paid a visit to the hospital. Members of Zeta Tau Alpha sorority alongside students from PNAC. Zeta Tau Alpha members collected, packaged and delivered Chemo Care Packages to patients at High Point Regional Cancer Center. 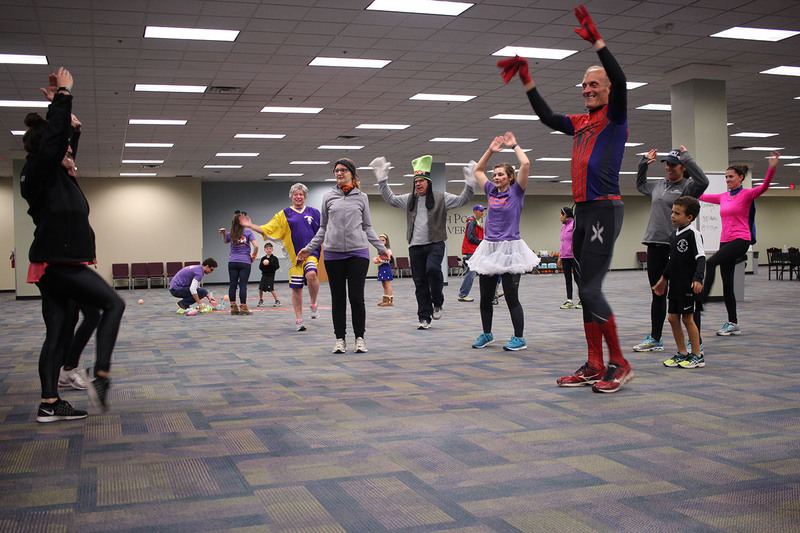 High Point University’s Department of Physical Therapy hosted their inaugural Halloween 5k and Fun Run, bringing awareness to HPU’s future Physical Therapy Community Pro Bono Clinic and raising funds for the HPU physical therapy student scholarship fund. 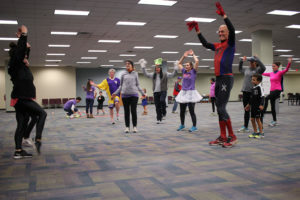 HPU’s Department of Physical Therapy hosted their inaugural Halloween 5k/Fun Run and food drive, bringing awareness to HPU’s future Physical Therapy Community Pro Bono Clinic. medical needs, the HPU Physical Therapy Pro Bono Clinic will house a donation-funded food pantry. Along with the 5K Fun Run and Walk, the event included a canned food drive within The High Point Community Center to stock that food pantry. Participants in both the 5K Fun Run and the food drive wore costumes and took part in Halloween-themed activities for children, including pumpkin painting. Healthy snacks were provided by The Peppermill Café and participants enjoyed a visits from the Pink Cares Piedmont fire truck. High Point University students and faculty concluded the third annual TOPSoccer program with an afternoon spent on the field and dressed in costumes for trick or treating. 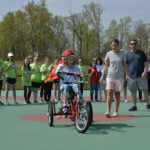 TOPSoccer is a community-based soccer program that is designed to meet the needs of children with physical and/or intellectual disabilities. The program is intended to improve the overall fitness, self-esteem and social skills of children ages 4-21 years old. 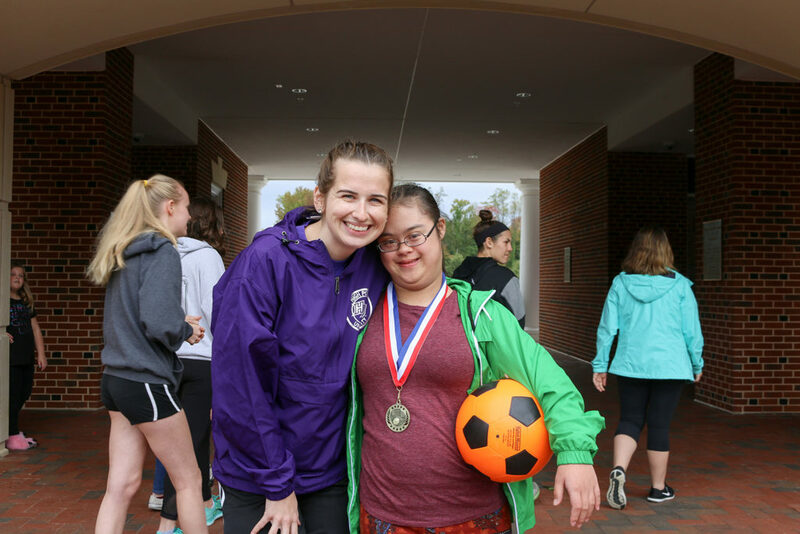 This is the third year HPU’s Stout School of Education hosted the TOPSoccer outreach program, held every Sunday for six weeks at Vert Stadium on HPU’s campus. The final TOPSoccer meeting included an awards ceremony and trick-or-treating for all participants, who were invited to wear their Halloween costumes. 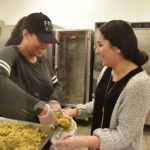 Members of HPU’s Men’s Soccer team, Men’s and Women’s Lacrosse, Alpha Omega Phi service fraternity, education majors and many other clubs and individuals around campus come together to make the event possible.